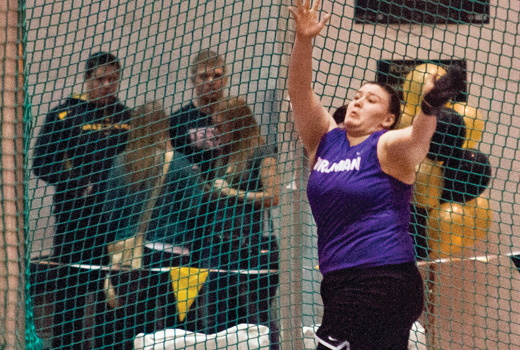 Senior Rachel McCarroll earned All-America honors and broke the Truman school record competing in the weight throw this winter for the Indoor Track and Field teams. She finished sixth in her first Division II championships meet with a throw of 59-09.00. McCarroll was the conference champion in the weight throw when she broke the meet record and set a new Truman school record in the process. In the MIAA championships, McCarroll tossed the weight 61-10.25 to win her second straight conference indoor title. The previous school record was set by Ashley Colon in 2007 at 58-08.50. McCarroll wasn’t the only Bulldog to successfully defend their MIAA title this year at the conference meet. Senior Ryan Peterson won the 600-yard run for the second straight year as he edged out Central Missouri’s Ross Lorber 1:12.78 to 1:13.38. 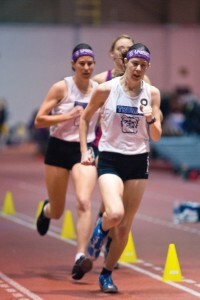 Senior Karen Grauel became a four-time all-conference performer in the women’s 5,000-meter run. 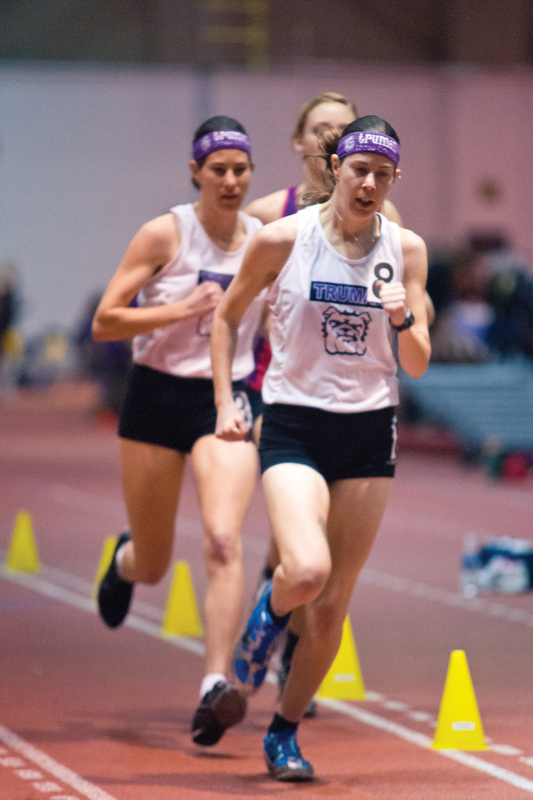 Grauel ran 17:50.42 to finish second in the race and also picked up team points for the women with a sixth in the 3,000-meter run. Junior Matt Schaefer just missed all-conference honors when he finished fourth in the men’s 800-meter run. Schaefer qualified second for the finals and had one of the top 25 times in the event in Division II.